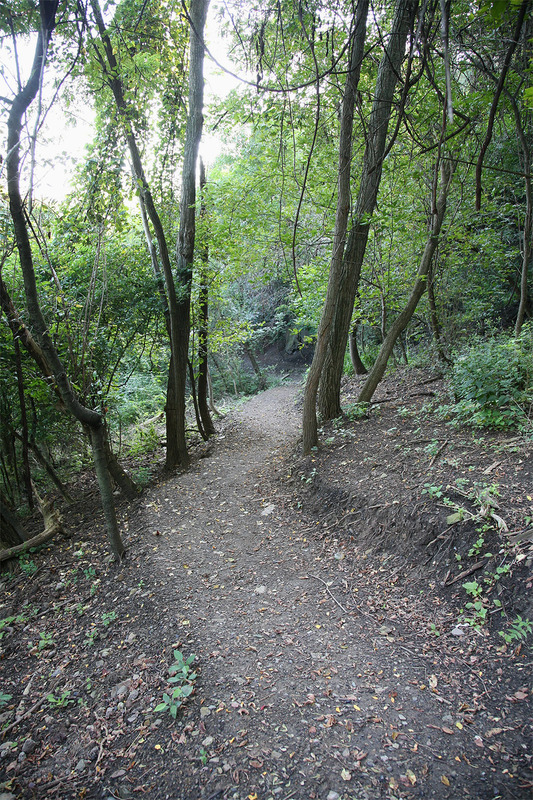 To prepare a Master Plan for the development of a comprehensive urban wilderness trail system for the Emerald View Park. 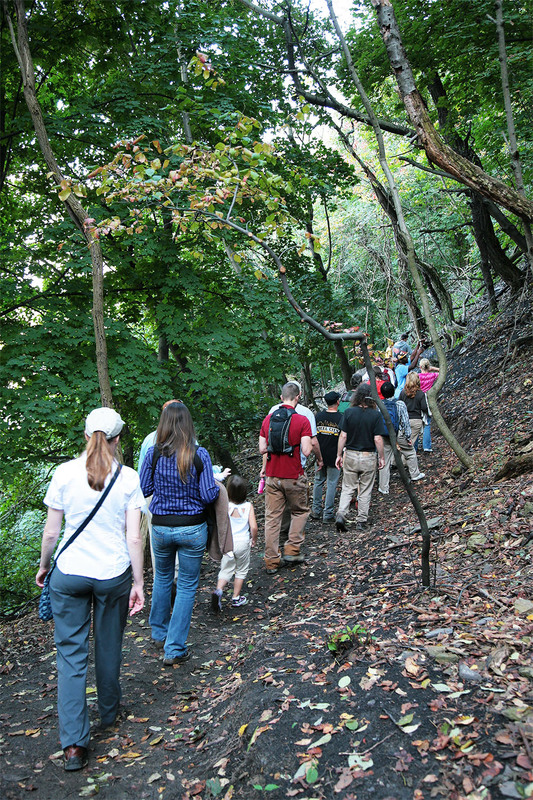 EPD prepared the Trail Master Plan for Emerald View Park, a 235-acre greenway that extends along the wooded hillsides of the City of Pittsburgh’s Mt. Washington neighborhood. 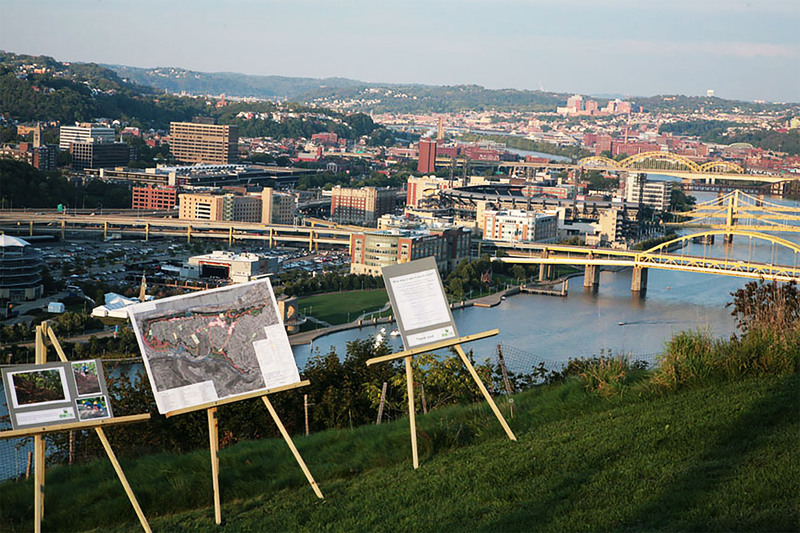 The greenway includes neighborhood parks, trails, and a scenic pedestrian promenade with internationally renowned views of downtown Pittsburgh. One of the primary goals for the trail was to improve the wellness of primary residents by providing more outdoor recreational opportunities. This project challenged the notion of how recreation is viewed in a tightly-knit urban neighborhood. EPD’s planning challenge was to seek out and find ways to make the place speak to and inspire people. EPD worked with a neighborhood group to develop a plan for approximately 19-miles of multi-use trails. A series of existing trails were evaluated to determine which sections should remain, be enhanced, be relocated or removed. 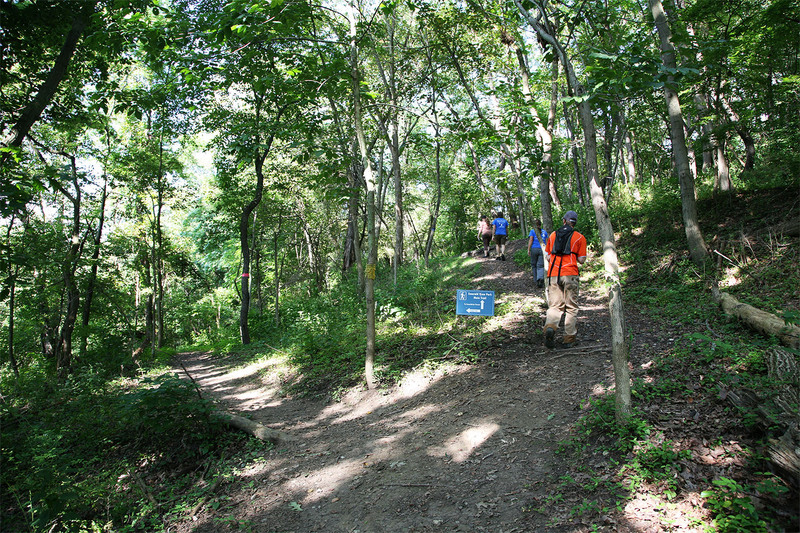 Ten miles of new trails were blazed to create the comprehensive trail network. 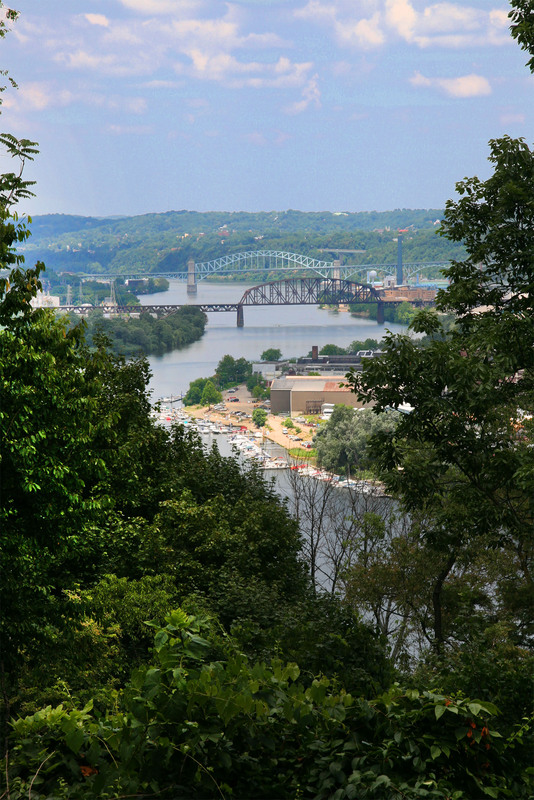 The Plan forms connections to historical/cultural/neighborhood amenities as well as to other regional trail systems including the Great Allegheny Passage. Since this project started, the community has learned to change how they think about their natural spaces and has ultimately embraced the park and trails—with most of the trailblazing being completed by volunteers from year to year. The excitement and buzz surrounding this park led to it being recognized as the region’s 5th Regional Park.